In 2012, my husband and I started to execute our dream of becoming full time cruisers. We sold all our ‘stuff’, which meant our furniture, winter clothing, cars, a condo and our house. It took a lot of hard work to whittle our belongings down to things that would fit on a 38-foot sailboat, but we did it! The hardest part of this process was scanning all my son’s baby pictures on the laptop and then throwing the treasured memories away! But let me talk a little bit about the dream of cruising. For most women, the dream usually starts with the husband and slowly filters into the mind of the wife and I fit perfectly into this scenario. I sailed while in high school but then spent most of my adult life land locked, it wasn’t until I met my sailing husband that I even knew there was something called cruising. We would sail as often as we could on Long Island Sound and chartered week trips in the islands, but I was mostly the passenger and my husband was the captain. On afternoon sails, how much was there to do other than provide lunch and drinks for the captain! As the cruising dream was quickly crashing into reality, I spent my spare time reading and watching videos to get an idea of what my new life was going to entail. Members at our Yacht Club loved to give me the horrifying stories of sailing along the coast of NJ, not one gave me a fun, happy story of this overnight passage. My anxiety ramped up! And finally, on October 2, 2014, we untied our dock lines and started our new life. But we still needed to complete the sail south along the NJ coast. My husband was very understanding of my fear and waited for the perfect weather window to make this part of our journey a safe and happy one. For the most part, the sail was beautiful, great wind, beautiful sunset, and the boat was performing as expected. Until about 3 am when the first of three squall lines hit. My biggest worry was coming true but guess what, I survived and so did the boat! 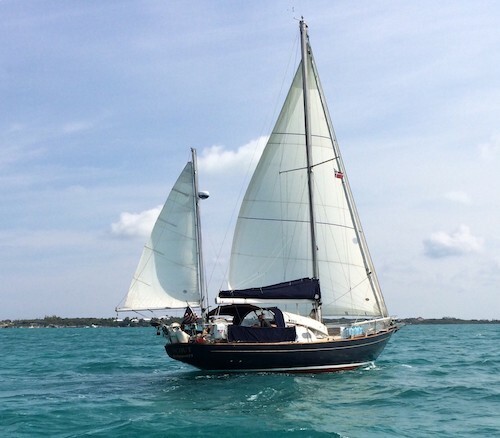 The lesson learned from this newbie cruising experience was I needed to become an active participant in our crew, I needed to understand weather, navigation, sail trim, some basic mechanical systems and so many other things. Cruisers University offers a Cruising Women class to help other newbie cruising women to be better prepared to face the difficult situations of cruising and to give the women knowledge to ask the right questions while deciding about a passage. 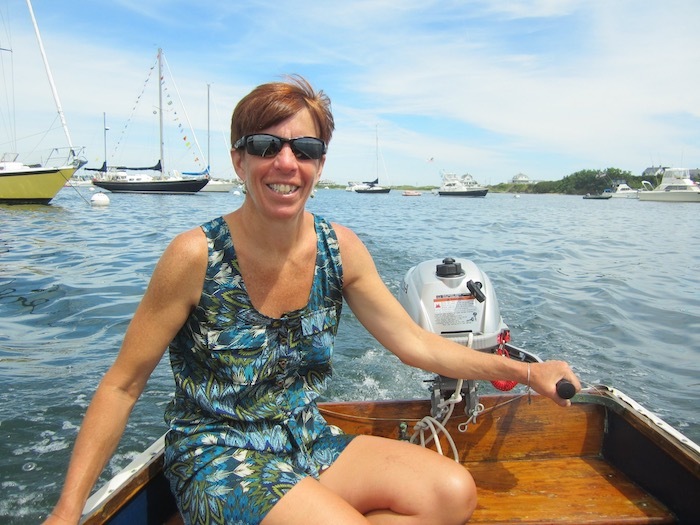 Even the expert Cruisers University instructors like Pam Wall and Behan Gifford were newbies once, but now Wall is now a Keynote Speaker at numerous boat shows across the country and is an active Cruising & Sailing Consultant. Gifford has sailed more than 50,000 nautical miles while circumnavigating with her husband, Jamie, and their three children. In short, we all had to face our fears to be able to enjoy the amazing experience of cruising. Now five years later, I know what the newbie cruiser is facing. This gives me a better understanding when I put together each session’s curriculum. I want to make sure I choose instructors with the best experience to teach their topics to the newbie cruiser, but I also want to have subjects that will enable everyone who shares the cruising dream to be able to drop the lines and start a journey of a lifetime. Many times, my husband tells me to prepare for the worst and expect the best, and that is what Cruisers University offers the students, preparation for all that can possibly happen and to give them the confidence to have the best cruise possible. For more information on Cruisers University click here.